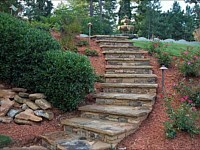 Your yard may have all the greeneries it needs, but it may still look incomplete. Can you see walls, steps, and columns? Now you know what’s been missing. 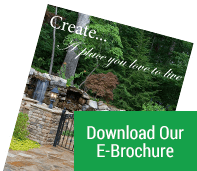 Not everyone realizes it, but adding these strategically and creatively can transform a yard into a magnificent landscape. 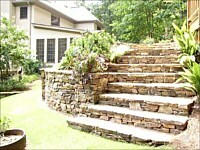 Besides aesthetics, adding these structures will also open possibilities for more outdoor living spaces. 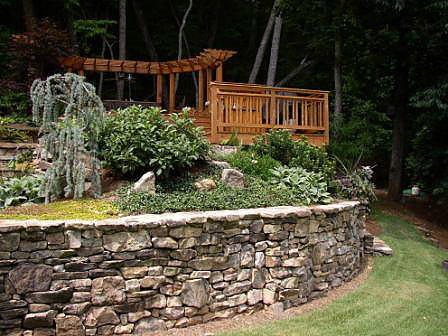 Walls, particularly retaining walls, are built to control gravity. If your Georgia property has slopes, then there’s the possibility it will erode with heavy rain. The wall is built mainly to hold that soil and keep it from sliding down. 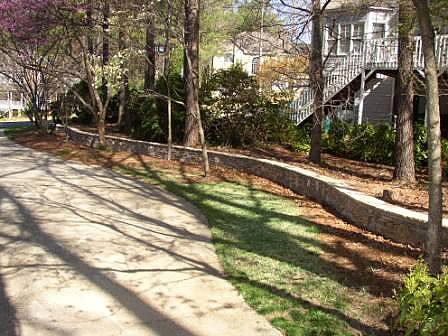 For this purpose, the wall needs to be wisely engineered to control possible erosion, while providing good drainage. And another important function of these structures is to divide areas in the landscape. Look at the beauty created by simply dividing the area with walls. Finally, yellow flowers are on the first layer and then those that grow red flowers are on the next layer. 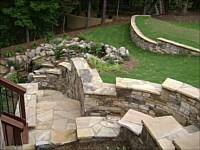 This layering technique adds visual interest to an area. If big enough, even outdoor living spaces can be built on top of these structures. Like walls, steps are there to divide a rather difficult trek up. These structures automatically add noticeable visual elements to the landscape. Thus they are expected to stand out from the crowd. The best thing is they demand attention. 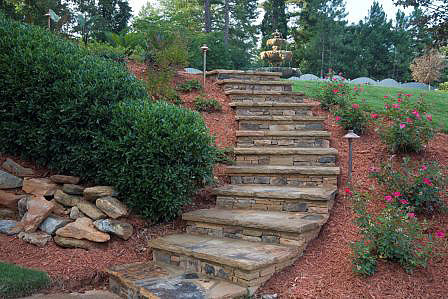 Spectators and guests are enticed to walk on these beautiful stones and guide them for a mini tour around your yard. Steps can be of any height and size. Perhaps you’ve seen long and narrow or those wide and short steps. How about the common straight one or the curvy trek? 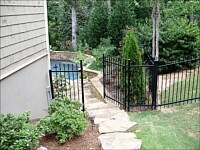 If you can’t decide which of these options are best for your Georgia landscape, don’t worry. 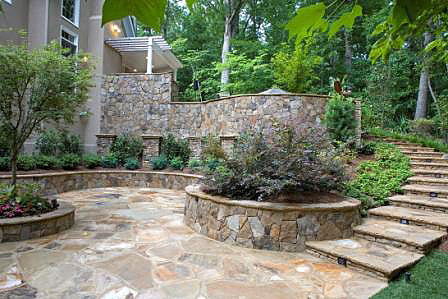 We’ll help you choose the perfect design that will flatter the yard. Think of columns as decorative statues. They stand there to be stared at. 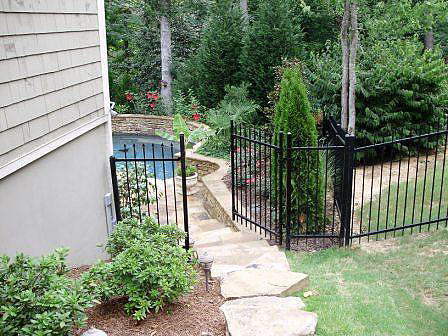 Practically speaking, they are there to support something - patio roofing or a garden gate. As such, they become a very important part of outdoor living spaces. Their stunning beauty has made them the popular choice of many landscapers and homeowners in Georgia. 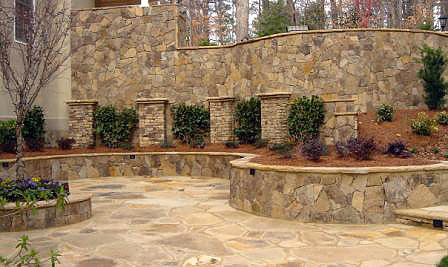 Columns can be simple, or they can be elaborate and be distinctive additions to the outdoors. We know what you want, and we’re here to design and build these beautiful structures - no matter how simple or elaborate they are. 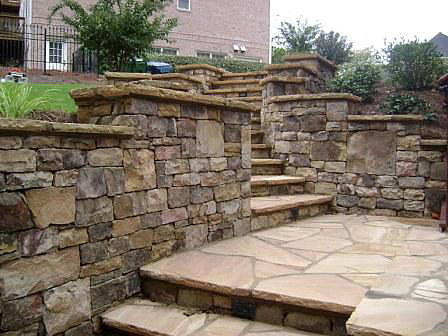 At Miller Landscape, we provide nothing but extraordinarily sophisticated and durable walls, steps, and columns. 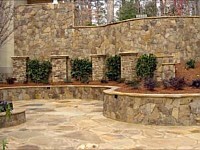 We can do this because of our partnership with the leading landscape material suppliers in the country like Belgard. 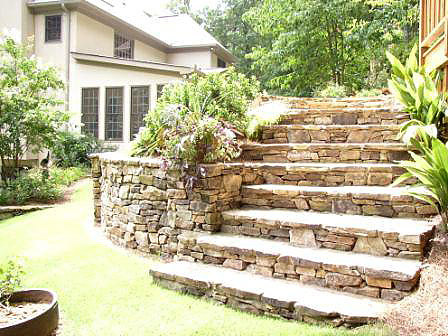 So no worries, whether you want big fieldstones or bluestones for the steps, old bricks for the walls, or rustic designs for the columns. 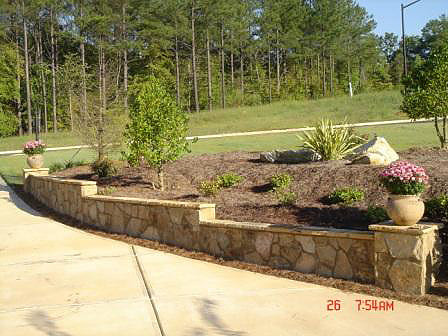 We have everything you need for every landscaping project. Our 3D design service will also provide you a stunning rendition of how great the changes will be with these walls, steps, and columns. On top of that, there’s our licensed, experienced, and creative team that will work hard for high-quality craftsmanship. 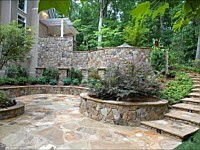 Recreate the place you love, and make it more enjoyable to live in with Miller Landscape. Call us for more information.